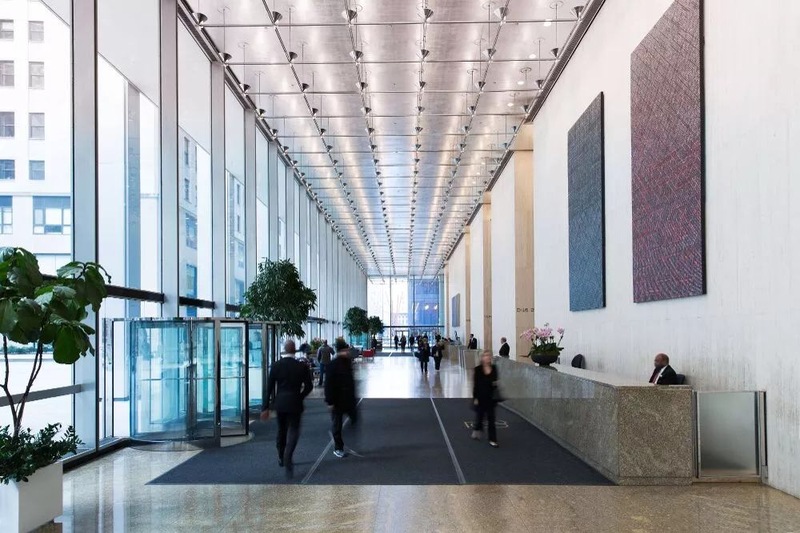 With many years’ experience in media and as news anchor, Jenny Jinyuan Wang has not only become an art collector in recent years, but she is also leading Fosun Foundation. Located in the Bund Finance Center in Shanghai, Fosun Foundation Shanghai is a non-profit organization founded by the Fosun Group and the Fosun Foundation in November 2016. The building features three layers of moving veils in appearance. Its roof houses the large-scale spatial installation Counter Sky Garden by renowned Japanese artist Tatsuo Miyajima, which is also part of the foundation’s permanent collection. During Jenny Jinyuan Wang’s visit in Hong Kong during the art week in Hong Kong, Co-founder of Larry’s List, Christoph Noe spoke to Jenny Wang and Deputy Director Zong Han, who shared about the programs and visions of Fosun Foundation, her perspectives on the Shanghai art scene, and last but not least, her active involvement and leadership in Fosun Foundation. Jenny Jinyuan Wang. Courtesy of Fosun Foundation. The first-ever collection exhibition of Fosun Foundation is happening. Can you tell us more about this? 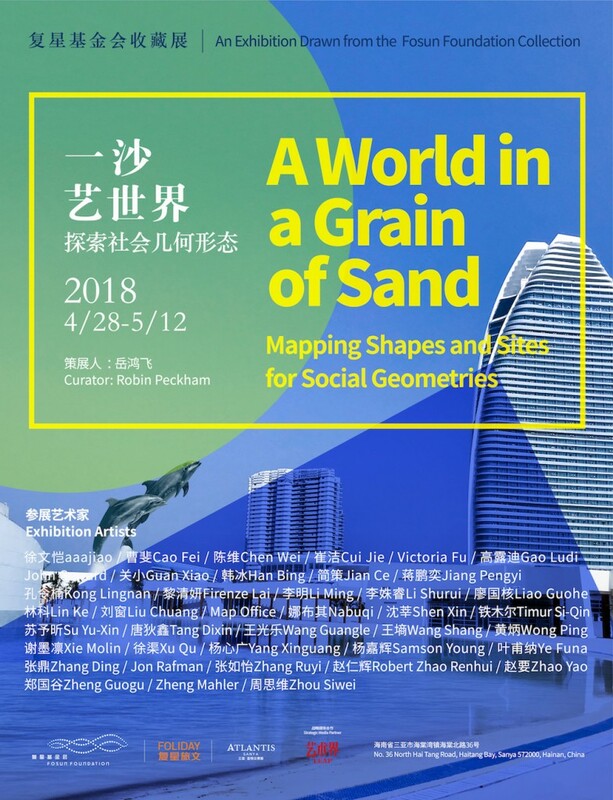 We are very glad to have Robin Peckham to be our curator for the exhibition titled as “A World in a Grain of Sand: Mapping Shapes and Sites for Social Geometrics”. 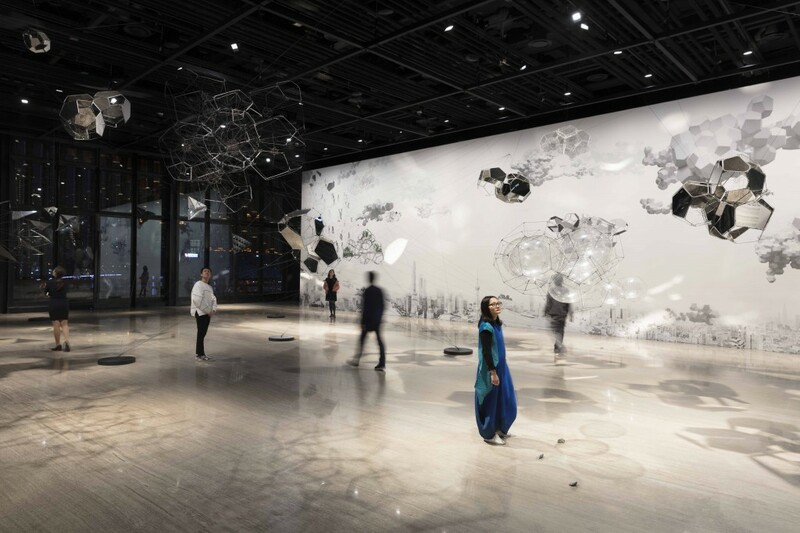 It is the first exhibition drawn from the Fosun Foundation Collection, with 40 artists, with media spanning from painting, paper work, sculpture, installation, photography to computer graphics, AR, and VR. The exhibition divides to three themes, Architecture and the Body, Network Ecologies, and Capital and Labour. 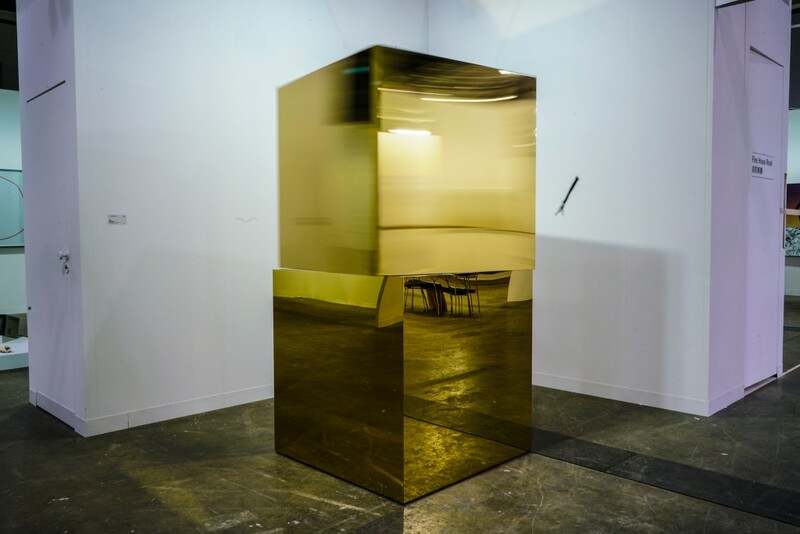 Zhang Ding, Spinning Cube, 2016. In the latest exhibition drawn from the Fosun Foundation Collection. Courtesy of Fosun Foundation. Timur Si-Qin, The 8th Gate Sorting Processor, 2015, in the latest exhibition drawn from the Fosun Foundation Collection. Courtesy of Fosun Foundation. The first time we both met was during a lunch with Yang Fudong, an artist – same as you – I am very passionate about. He was one of the first artists you showed in your inaugural exhibition, a 20-artist show in 2016. Please tell me how this first exhibition came together. Was this part of the collection of Fosun? Or even your own private collection? We opened the Fosun Foundation Shanghai in November 2016. 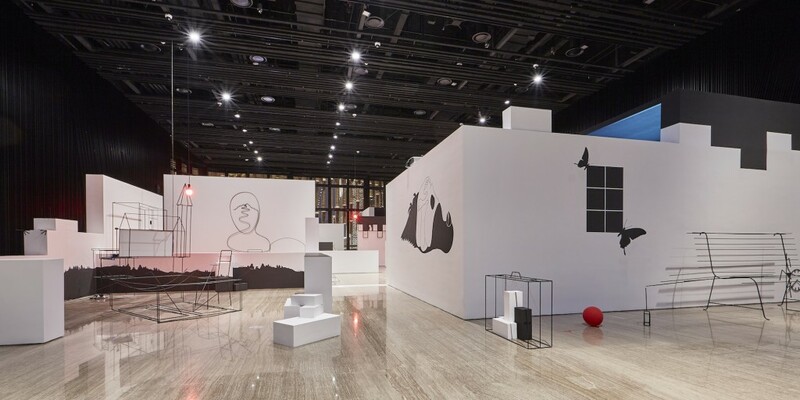 When we were planning for the first show, we thought, since we are located in Shanghai and the building is a very atypical design and at a very unique location, the first show should be featuring Chinese contemporary art. Also, I had collected some Chinese artists’ works myself, and I know them; they are my friends. Therefore, I had the feeling we could curate a great show with local Chinese contemporary artists. I chose 20 artists and also 20 pieces of work. The works span a period of 20 or 30 years and include different types and media. : paintings, sculptures, videos, and also sound works. We try to present the development of Chinese contemporary art. 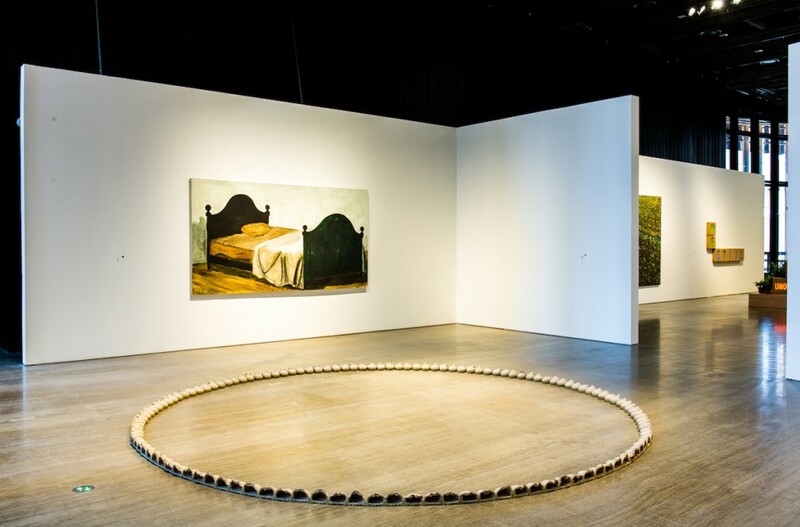 Past exhibition “20” at the Fosun Foundation. Courtesy of Fosun Foundation. It seems to me that you are quite passionate about the medium of photography. Is this the core of your collection? We want to also offer an outlook and and focus on some new media including photography. I think before, people used to collect some paintings to hang on the walls, often for decoration. That’s the first step of collecting. But later, they collect more and more and develop. As we have the foundation, we have the art space already, we think about what we want to do more for cultivating young generation. Commissioned (but not installed): Walking Shanghai, by Julian Opie. Courtesy of Fosun Foundation. Looking at some of the past exhibitions; you have selected – for me a very smart choice – the artist A.R. Penck and also artist like Julian Opie. Is this selection for the Fosun Foundation related to your own collection and own interest? Or would you say these go very separate ways? The first to mention is that it’s not my collection, but the foundation’s collection. And the other thing is that we have to consider our space. We decided the programs together with our advisors. Normally we do three or four shows per year, focusing on international contemporary art. We do collaboration with galleries and partners all over the world. And yes, we are also interested in internationally renowned artists (but not necessarily so well known in China yet?). The past A.R. Penck show at Fosun Foundation. Courtesy of Fosun Foundation. For the Penck exhibition, you’re not only showing his paintings. You’re showing cardboard works, drawing, and also the sculptures. So, you’re trying to give a quite comprehensive overview. And I think you have done the same for the Julian Opie show, where everyone only thinks, “Oh, it’s maybe the LEDs.” But then again, you’re coming with video, and paintings. You’re coming up with the wallpapers. Right. This is one of the intentions. Kind of to introduce a more comprehensive view on the artists. Exhibition of Qiu Anxiong at Fosun Foundation. Courtesy of Fosun Foundation. Are you then collecting some of the works from the show for the foundation? Our collection and the show always link together. So, for example, we had the Julian Opie first China show, and then we commissioned a large-scale LED sculpture and it will be seen just in front of our main office building, in the Bund Finance Centre. 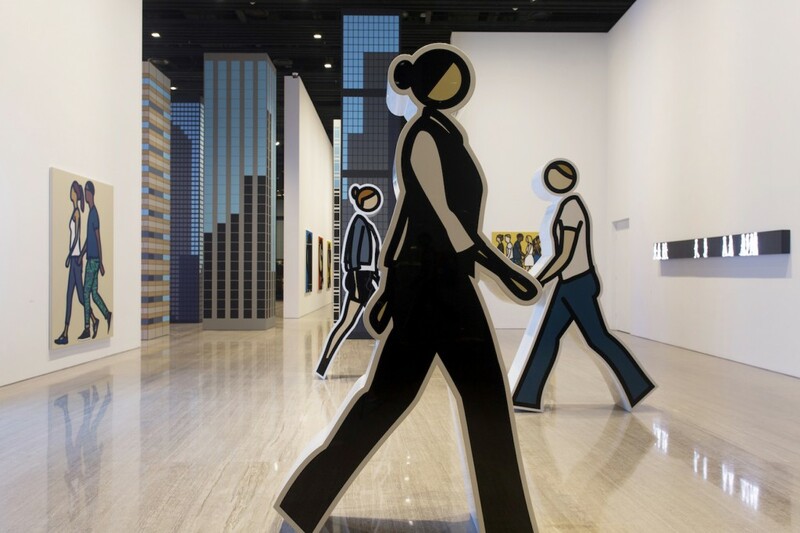 That’s also the first commission work the public of Julian Opie in China. It’s under production. And we do a show for Chinese artist Qiu Anxiong last summer, and it’s the first time we put his three videos from his trilogy together in one show. So, it’s the first time for us. And after that show, we collected the latest one. It’s about the city, so something about Shanghai where the artist lives and works. Tell us more about your advisory board that is going to be established. The advisory board will be formally established in Sanya during the first collection exhibition. The advisory board will not decide our program. But we just want to organize this advisory board because foremost the members are my friends and people I respect. We are always talking about art and culture and how to run institutions. So, everyone brings in different business aspects, different backgrounds. Some of them also have their own institutions . We share the same passion. But in China, running an institution, a private one, especially, is not easy. You have the space, but (you must accept that) you cannot earn much money from it. You must invest lots of energy and money. So, I think with only one space, you cannot change many. Therefore, we want to join force, so we can do something more powerful. Yeah, so everyone can discuss things together. And in Shanghai, many private museums want to do shows with very well known (famous) artists. We should share this information beforehand, and we do not approach the same artists. If this is more transparent, there will be less competition but more collaboration. Which is a fantastic ideas. I love it very much. Us, the visitor, we don’t see you in a competition from the outside perspective anyway. We are going to Shanghai because in the morning, I can see Fosun Foundation, then we can go to see Qiao Space and Westbund. Next day Rockbund and so on. So, you’re actually creating a lot of value. As a visitor I just want to visit all of them. So, I think it’s probably the better way. Building alliances and networks and discuss things beforehand. Exactly. In Shanghai, in recent years, private museums are developing very quickly. We’re seeing more and more private museums. But, actually, I think underground they have a competition. for sure, everyone has competition. But, I think in Shanghai we are not fighting very hard. Everyone has good manners and is open for new ideas and models. So, I think it’s a base for us to build up the different kind of things. A piece by Wang Guangle, collected for the restaurant on the top of 28 Liberty NYC. Courtesy of Fosun Foundation. So, Jenny, now, are you building an alliance to make Shanghai into the most important private art museum centre in the world? No, no, I cannot do that. It’s not an alliance that they will dominate or manipulate the market. It’s more like people come together and then bring some positive energy to have some positive impact. 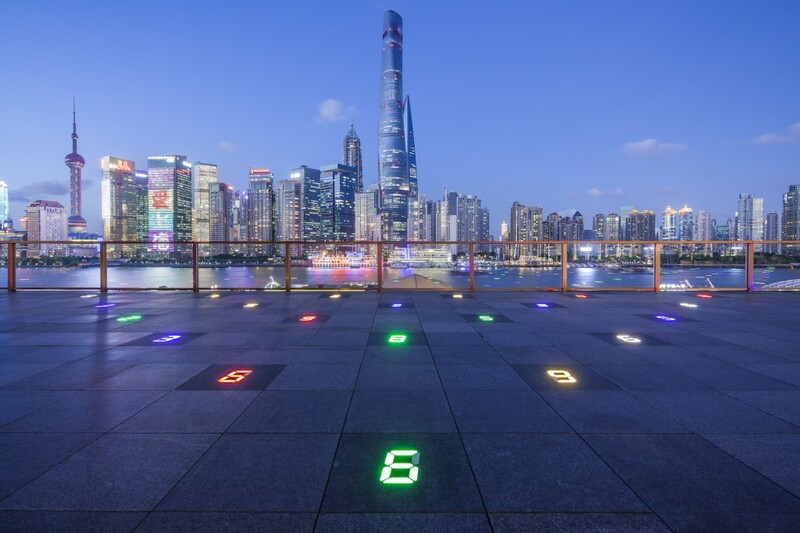 Commissioned: Counter Sky Garden, by Tatsuo Miyajima. Courtesy of Fosun Foundation. 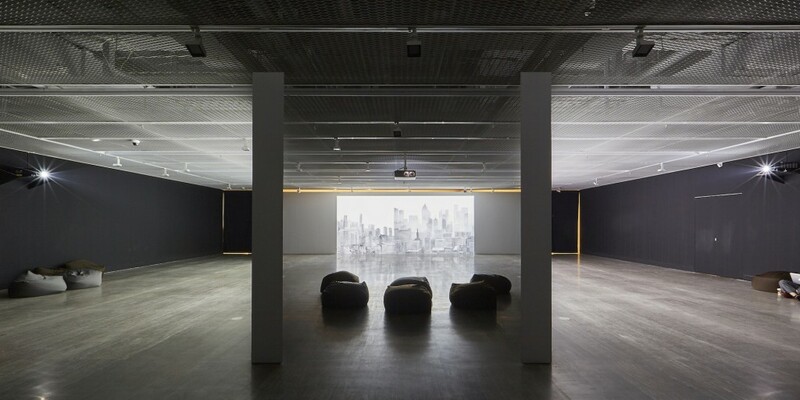 You must also feel that Shanghai has a very particular moment now for the art scene. The global art world is looking what is happening in Shanghai. You must experience that. And you are one of the active players. You have the chance to contribute. You have the chance to make things happen. I mean, how do you feel about that? You are right. It is exciting times for Shanghai and for Shanghai’s art development. But I think that’s got two reasons. One is from government. They engaged with art very actively, especially around the Westbund area. So, they give the space to the artists, to the galleries, to the museums. They offer them very low rental fees combined with a favourable policy. And so they can develop very quickly, within years. That’s Westbund. But, for us, we are more independent. Independent from the government support. For us, we have the Fosun Group as a backer and we are also supported by Bund Finance Center, the complex. We are also getting more and more government support as we grow. So, we have the foundation and the architecture. It is more related to our corporate’s passion. So we want to dedicated to public art, program public educational programs, and organize interactive shows. We want to contribute back to society. 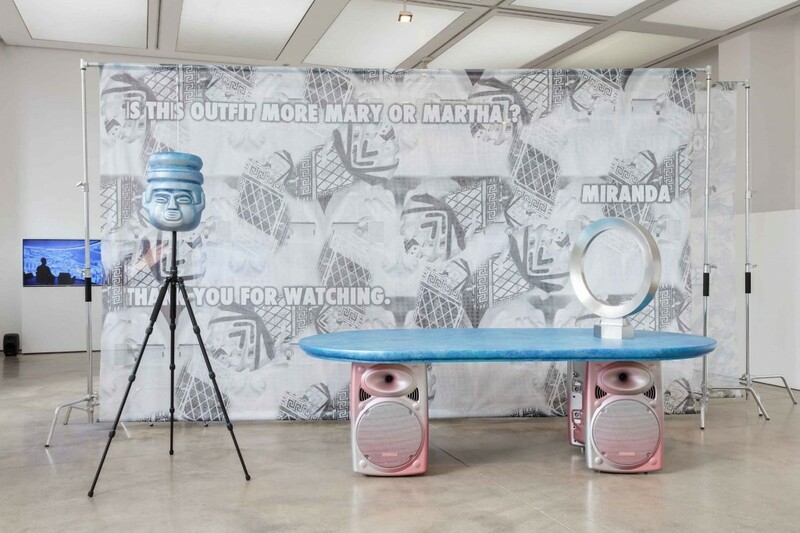 We also try to collect works to show them in our public spaces all over the world. 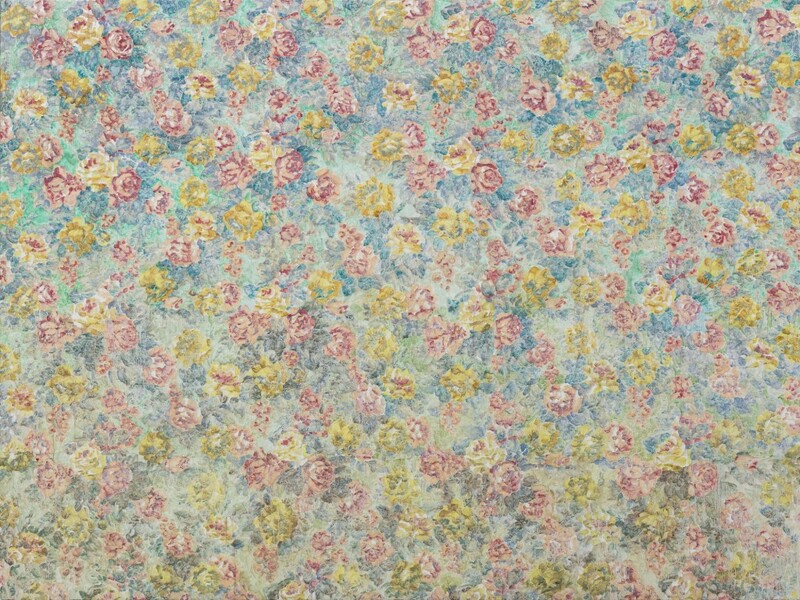 As Zong (Zong Han, deputy director of Fosun Art Foundation) has mentioned before, we will display Liang Yuanwei and Wang Guangle’s work in New York soon. Yeah, I think for me or for other museum founders, one thing is the same. That’s the passion. So we built our spaces. We want more and more people to access, understand art, and love art. They really like to go to museums now. So, I think it’s a combination with art education. 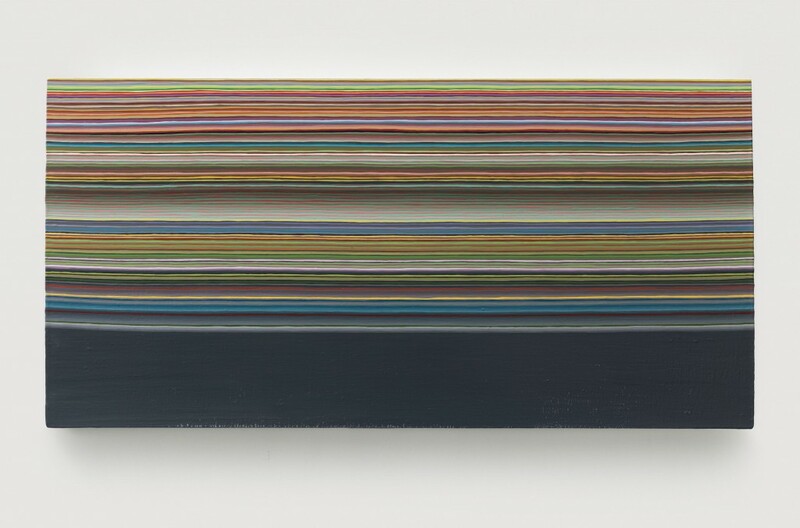 Collected: Liu Wei @ 28 Liberty NYC. Courtesy of Fosun Foundation. Your background is not from the arts. You’re coming more from the media side. What are the principles from your background now you are applying to the art world? I think it is similar. I’m now running a foundation. I was also doing it in media – it is public-facing. Before I was a reporter and a news anchor. So I think that’s the similar work for me. And this comes with my criticism. I see a lot of institutions, maybe not so many in China, but in the West, spending a lot of time and effort on the curatorial part, which is great. However, they don’t have a lot of social media and communication, which for me, it is mandatory nowadays. So I think our organization is like a company; more like a company than a gallery or museum. We have a very strong marketing department. Okay. That’s interesting because that means also you’re having targets, no? Is this given by you then, Jenny, as the director of the foundation? Or is this given by the advisory board? And how do you define these targets? Yes, we have, targets. Mostly from me. And the foundation is largely supported by the group, Fosun Group. So, the foundation must match with the group’s cultural vision, and their certain expectations. In how far will then Fosun Foundation also develop the art strategy for the brands in the Fosun group? For example, will you develop an art strategy for your brand Lanvin? Are you trickling this down? Yeah, yeah. Why not? Art is a kind of lifestyle. Fashion is also part of that lifestyle. So, why don’t we put them together? So, I think young people, they like shopping. They also like experience, like art. If we can push some art elements into the brands, or further with Chinese contemporary artists elements to the brand, you can do anything. For example, as Liang Yuanwei collaborated with Rolls Royce, you know. 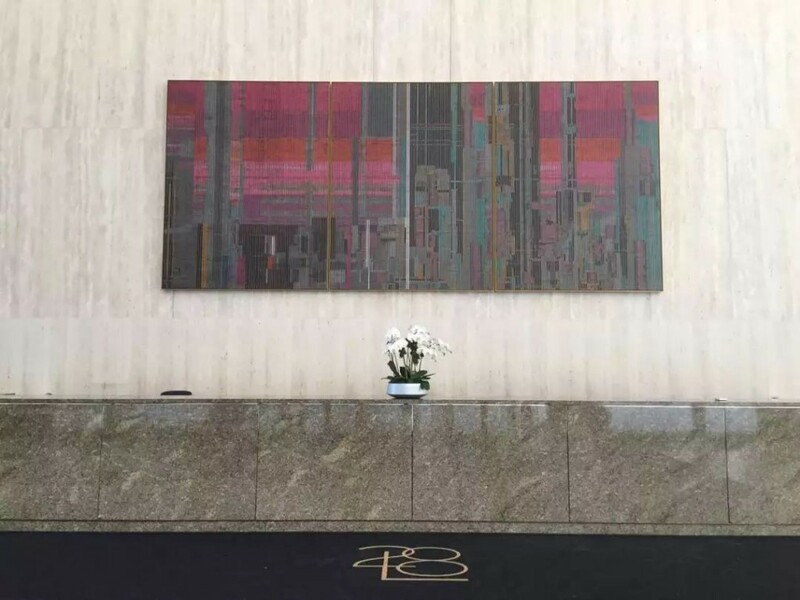 A work by Liang Yuanwei, collected for the restaurant on the top of 28 Liberty NYC. Courtesy of Fosun Foundation. How far are you also using the art as an in-house communication to your employees?Zong Han (ZH): So, with Jenny’s support, so, we’re doing a new initiative. As you know, Fosun itself has so many employees. And they will want to integrate with the HR process. All the way from hiring through to the “goodbye” process. So, when hiring we put our foundation’s information that people understand what Fosun is doing. And then through the orientation session, we will send them a package, welcome package, our ticket, our exhibition information, coffee coupon. And then in the future new hires will have orientation in the foundation building in Shanghai, so they understand that the company has the art foundation as a crucial pillar of the company. For employees already working in the company, we divide them from the top to the functional levels and we develop different programs to cater them. For the top level, we have private view dinners for some nights, museum nights. And for the middle management level we offer talks. So, my colleague and I will go to talk to them about our vision, our mission, our program. And for the rest, we tailor-make some programs to cater them. That is very exciting. And who’s heading that? Do you have an extra team? No. Because we have the HR team. They will do the work, but we have to come up with the concept. We have to communicate and work with the HR team to make sure that they integrate the code over all HR process. It is something very unique for a Chinese company so far. It seems that you are setting a benchmark here. Yeah, we’re trying to build a benchmark. I think it’s especially because of the location of the architecture and the foundation. Past exhibition of Tomás Saraceno. Courtesy of Fosun Foundation. Tell me a couple trends you have been observing in the art scene? I’m not so interested in who paints what, but more interested in the art market or art industry trends. Maybe art for employees would be for me, one trend. I do not have an art background. I have been a collector for only a few years and I haven’t collected substantial artworks. In China, I see more and more young collectors enter the market now. Maybe two or three years ago, every time I go to a gallery opening or go the fair, I always saw the same group of people repeatedly. And I think art should be not only for art. To give you an example: Tomás Saraceno is not only an artist, but also a scientist, an architect, a theorist. He has the ability to bring those things together. I am very interested in this kind of artist. So, I think our employees who work for Fosun, they are, like me, not from the art background, but they are curious to know this kind of art. So, yeah, this show actually attracted much more visitors without any art background. Collected: Ding Yi @ 28 Liberty NYC. Courtesy of Fosun Foundation. Your headquarters is in Shanghai. Now you’re doing a project in Sanya in one of your premises. So, we see it spinning off. Fosun has locations all over the world, and are you spinning off the arts project as well? We have reserved spaces for the foundation in New York, and Fosun Foundation Hong Kong. We have a space in Milan of two floors to be opened in three years .Currently it is under renovation. So, Fosun bought a historical building near the Duomo. And it used to be owned by the UniCredit. They moved the headquarters away from the city. So, Fosun bought the building, and the foundation has the top two floors as our foundation space and there would be programs. So we see a Chinese foundation coming now into Europe and America and You’re going right into the heart of Europe with an art foundation. Yeah, but we go there not for art originally, but for the property. We will invest in property, all seven properties there. And then, we can keep some space for the art, and then create again a dialogue with the art and with the people and the media. We also want to do some collaborations with local galleries and local artists. Past exhibition of Yves and Qiu Anxiong at the Foundation. Courtesy of Fosun Foundation. Do you also have some reference models you are looking up to? In China, there are no models for us. Because the government museum cannot be the model, and a private museum can also not be the model. You can see in Shanghai some private museums have huge collections, and then their museums build up on the base of those collections, but we’re not. Fosun is an investment company, so the background is totally different. So, for us, I think maybe Louis Vuitton Foundation or Leeum, Samsung Museum of Art, could be some kind of models for us. They also have the major companies in the background. ZH: Do you think that Fosun Foundation follows a rather American model because the company is doing a lot of investment and the lady came out championing and do arts and philanthropy. But do you think you have been inspired by the American philanthropy since, American operated like a Rockefeller? Who’s working and developing all those ideas? Who else is in the team? ZH: Together. Yeah, in fact, Jenny had a vision and the guidance. I’m more making everything a little more tangible. Jenny Wang: But, at the end of the day it’s still a small team for a big project. But, as you know, we have more supporting teams. So, HR and financial is a separate team that provide supports. 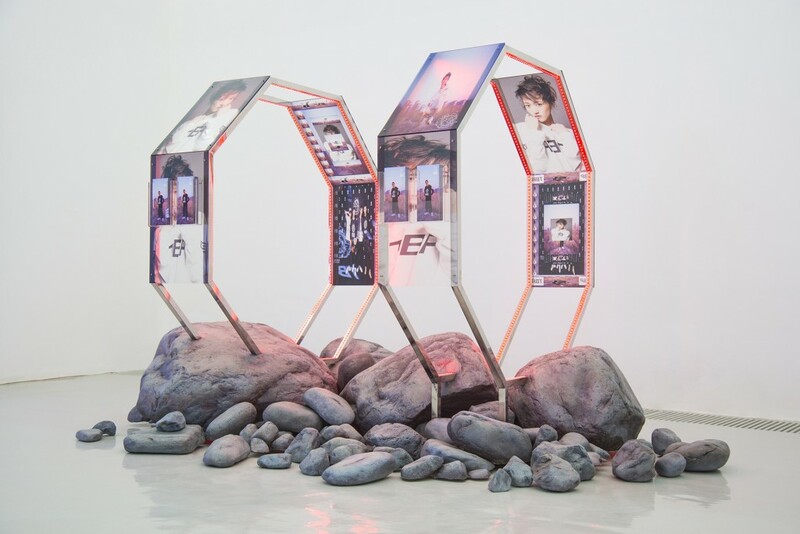 Guan Xiao, From Unit 3 to Unit 7, 2016, in the latest exhibition drawn from the Fosun Foundation Collection. Courtesy of Fosun Foundation. Something else, Jenny, you want to say to add to our interview? Last question, coming back to your private collection: When you wake up in the morning, what’s the first artwork you see in your bedroom? A small photograph by Wolfgang Tillmans. I also have Zhang Enli, Zeng Fanzhi, Francisco Clemente, Sterling Ruby and Yan Pei-Ming at home. The Talks Since Then, I Never Look Back. Features Showing Your Private Collection in Hong Kong? Your subscription is not success. Please try again later or click here.